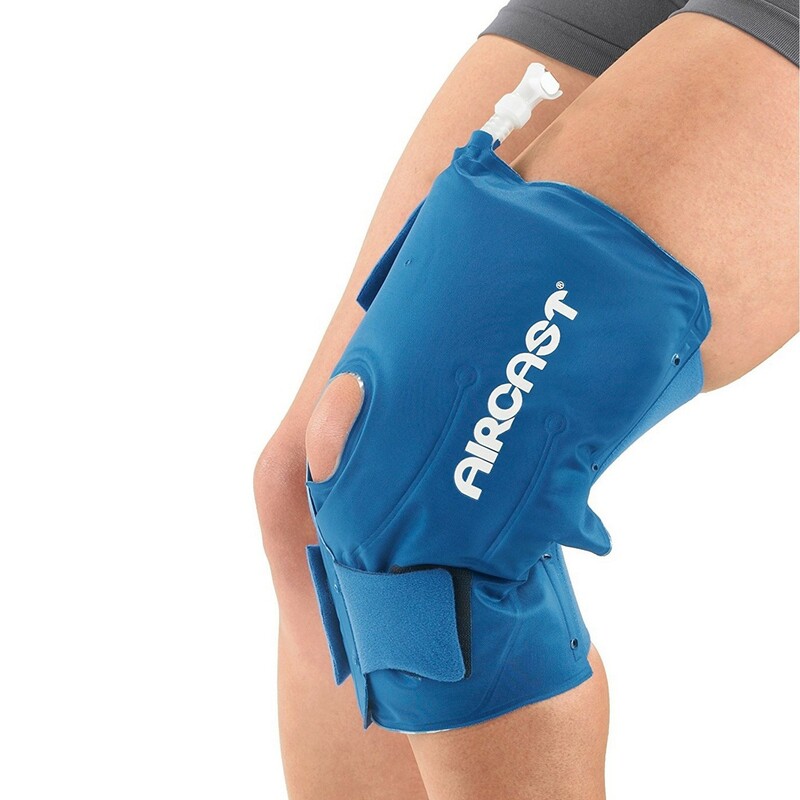 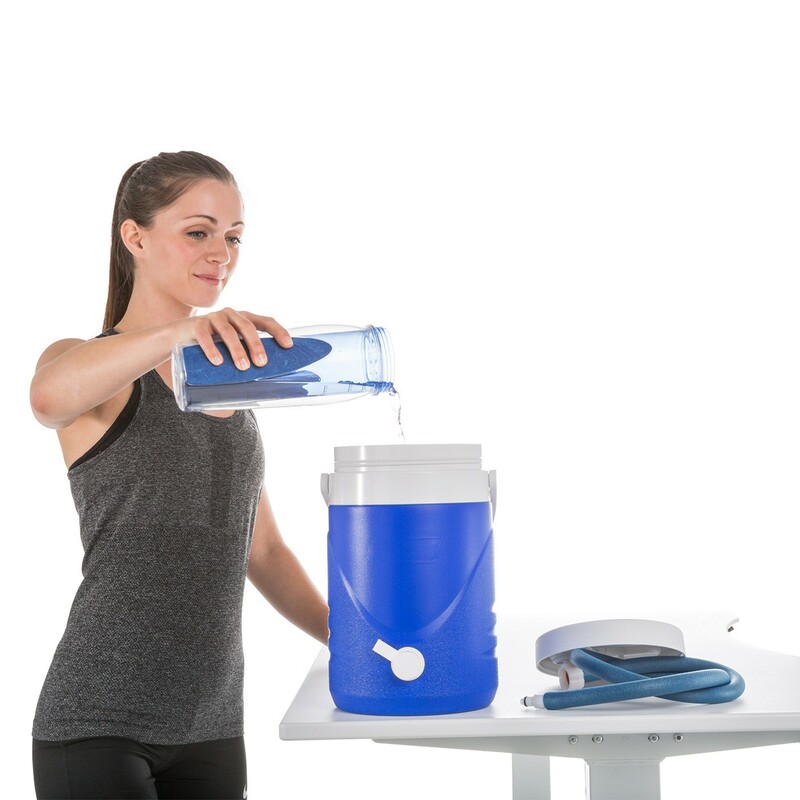 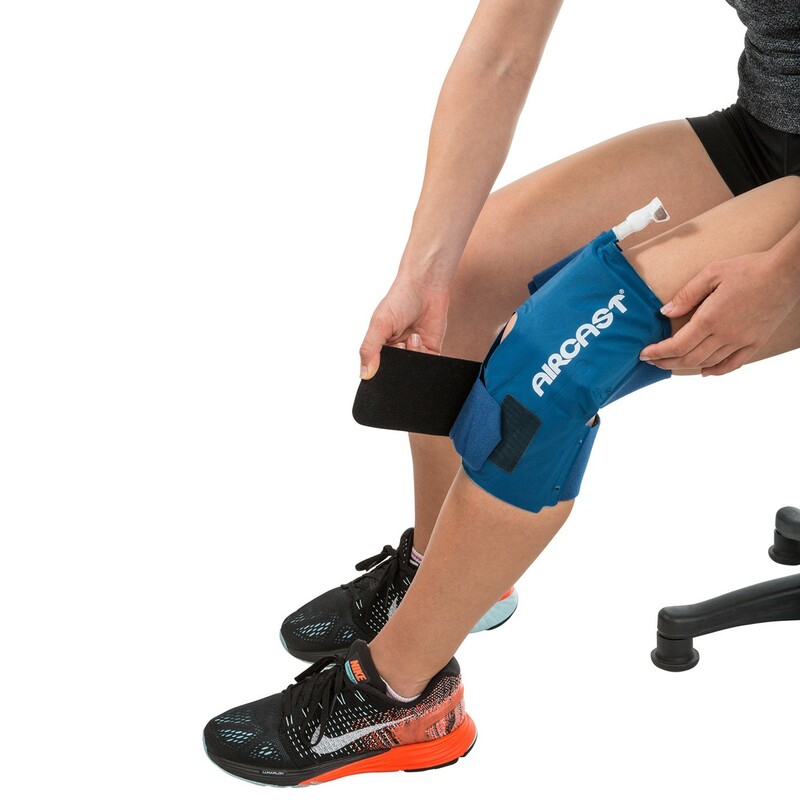 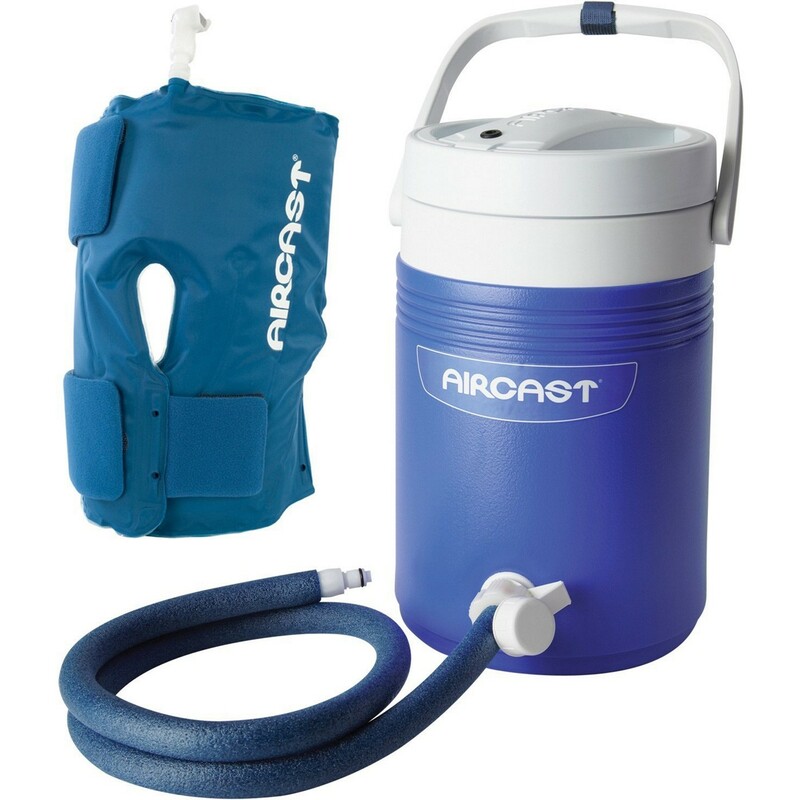 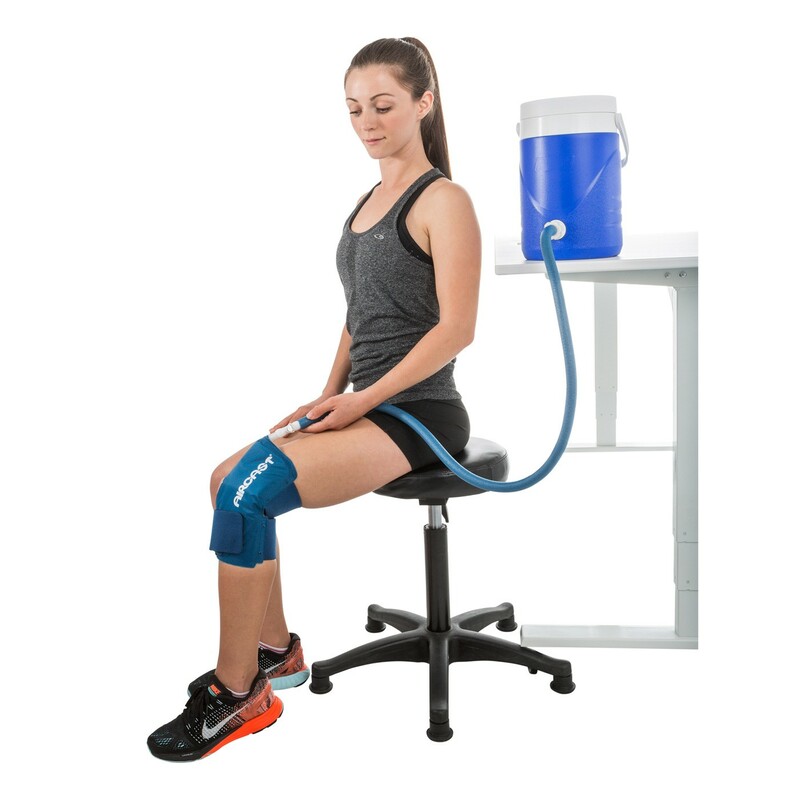 The Aircast Knee Cryo/Cuff with Gravity Fed Cooler cold therapy system uses ice to chill water that circulates to the Cryo/Cuff. 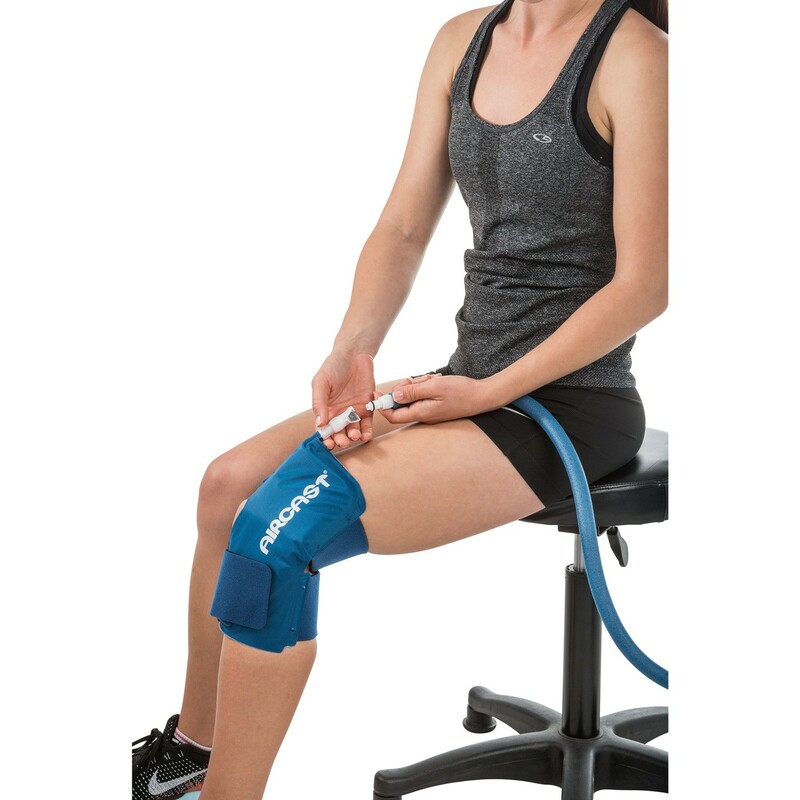 The Knee Cryo/Cuff with Cooler helps reduce swelling and inflammation after surgery, an injury, or an intense physical therapy session. 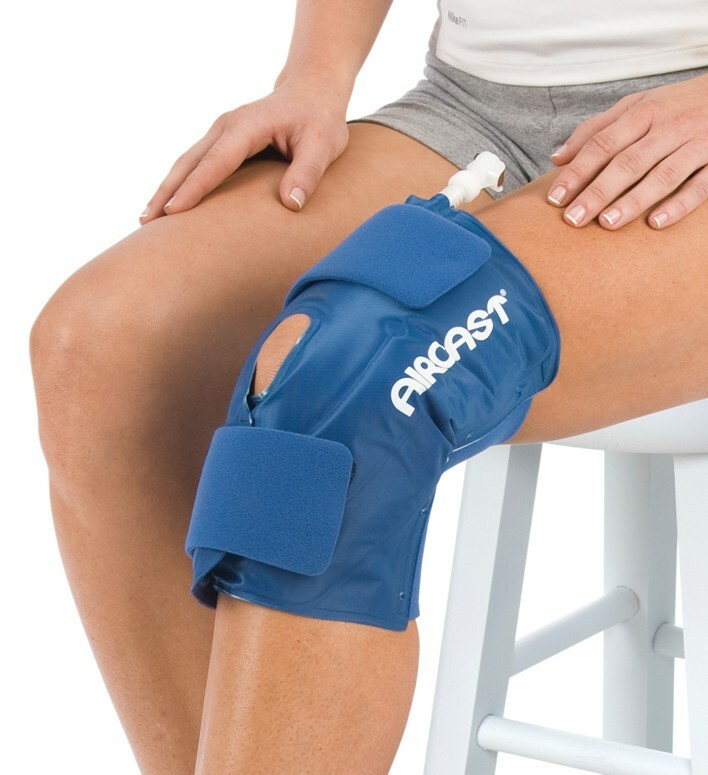 The cuff also provides gentle intermittent focal compression, clinically demonstrated to reduce swelling and improve healing times. 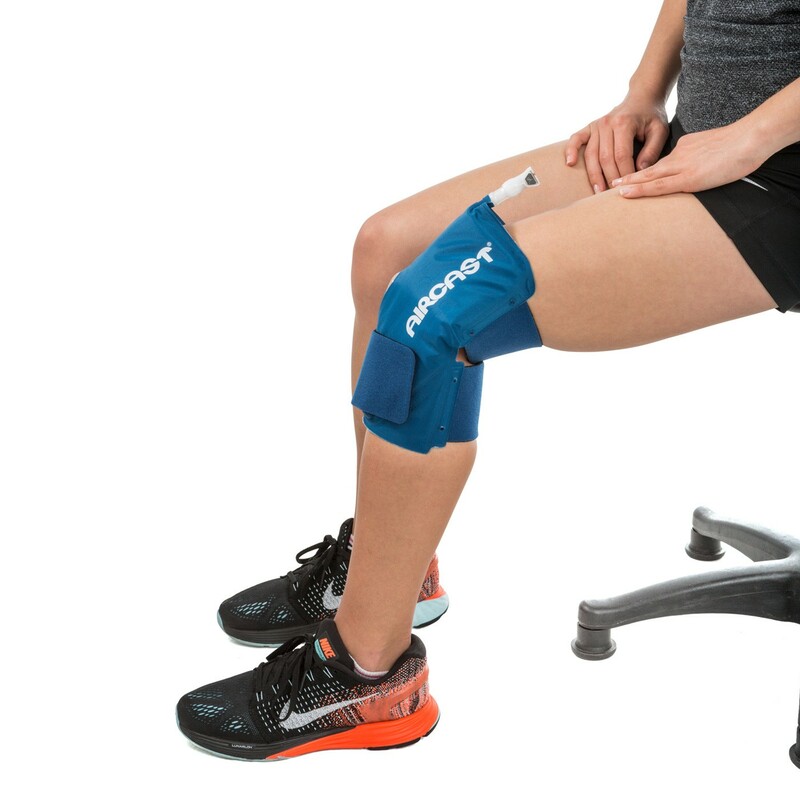 The cuff is available in three adult sizes, which delivers a comfortable and therapeutic fit.